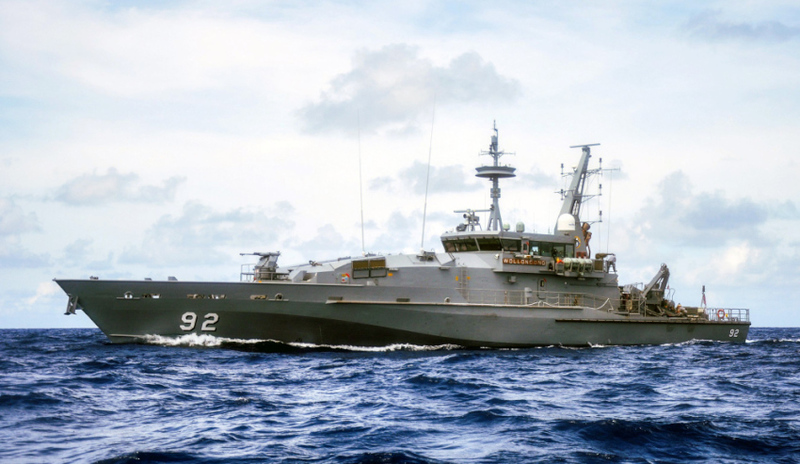 HMAS Wollongong, one of the Armidale class patrol boats that will be sustained in Cairns. Image via Commonwealth of Australia, Department of Defence. Three Queensland businesses will help deliver the upgrade of the Cairns Marine Precinct that will support services to the Australian Defence Force. Minister for Defence Industry Christopher Pyne and federal member for Leichhardt Warren Entsch confirmed the government would deliver $24 million towards the upgrade, as per its pre-election commitment, in addition to the $420 million invested to develop additional wharf space and other support facilities at HMAS Cairns. Agreements have now been signed with Norship Marine, BSE Cairns Slipways and Tropical Reef Shipyard with funding now to flow from the government to undertake a variety of works to increase the capability and capacity of the existing shipyards. The projects will include over 170 metres of wharf construction, upgrades to electrical and fire systems, workshop construction, security systems, hardstand resurfacing and the construction of an additional 135 metres of slipway rail. Entsch said the upgraded precinct will place Cairns in a favourable position to secure future maintenance and sustainment work for the Royal Australian Navy and commercial customers. Cairns will be home to the long-term servicing of the Austal-built Pacific Patrol Boats and the sustainment of the Armidale class patrol boats, ensuring more opportunities for the region's shipbuilding and maritime workers. "Over 1,300 people are employed in the shipbuilding, repair and service sectors in the region," said Entsch. "This work will sustain immediate construction jobs, and also long-term shipbuilding and maintenance work right here in Cairns."